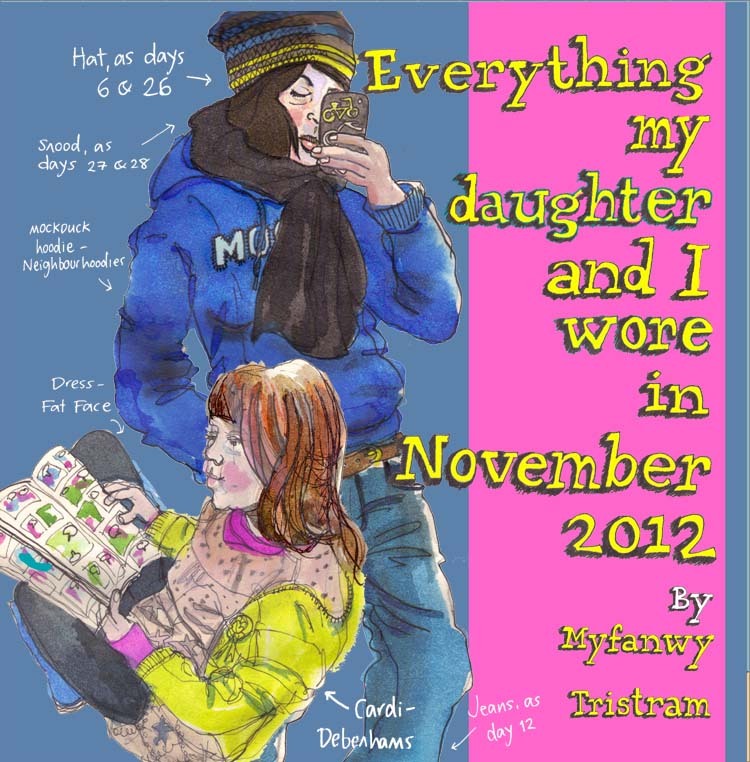 In November 2012, I decided to draw the clothes I wore, every day, for a month. 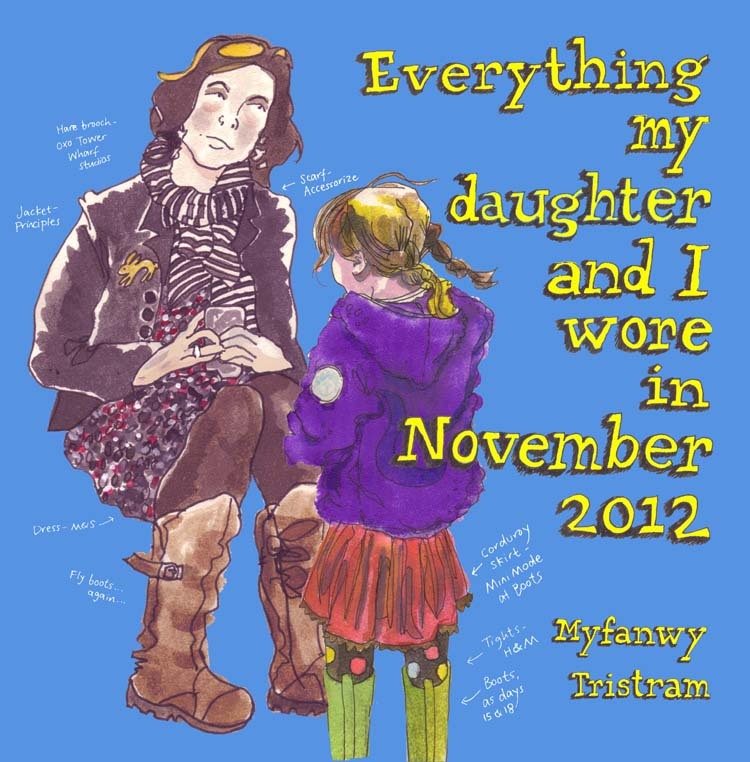 And as if that wasn’t enough of a challenge, I also drew my daughter’s clothes. At the end of the month, a good friend commented that the illustrations would make a great comic. She said one thing that really struck me: that these clothes may seem pretty ordinary now, but in a few years’ time, the picutres could stand as a historic document. So I cleaned all the sketches up and started putting them into a printable format. What you see here is me playing about with ideas for the cover. In my day job, my boss has a penchant for extarordinarily long blog titles – I think that’s influenced my choice of title here. My summing-up post at the end of the whole project – complete with pie charts! – can be seen here, and clicking here will take you to all the pictures on Flickr.